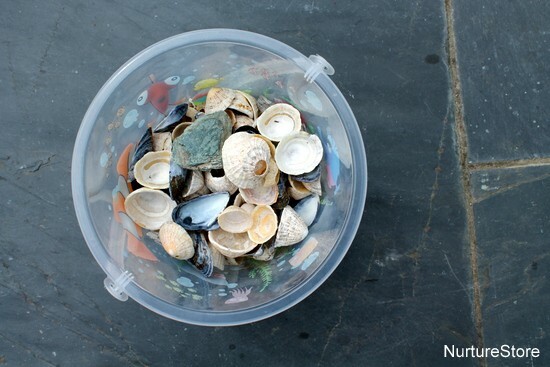 What to do with a bucket of shells? 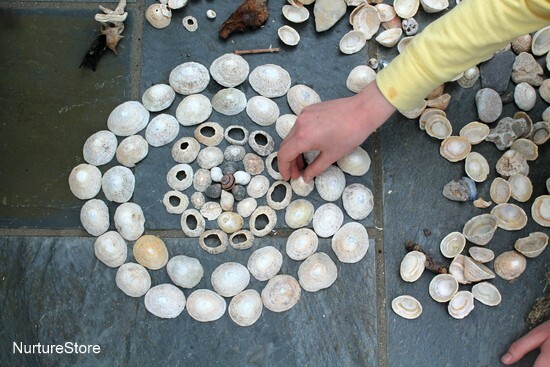 One art idea we return to often is making mandalas, but we’d never made one from shells before. Time to give it a try! 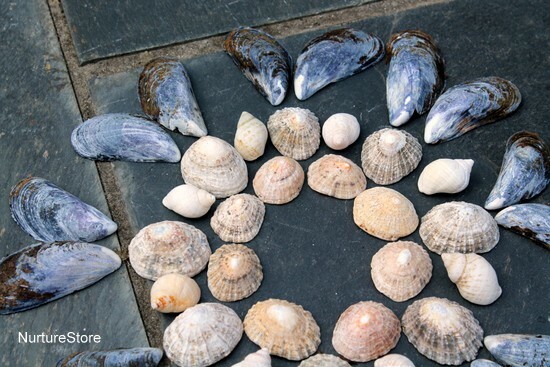 We started by sorting out our shells into groups, matching by shape, colour and sizes. 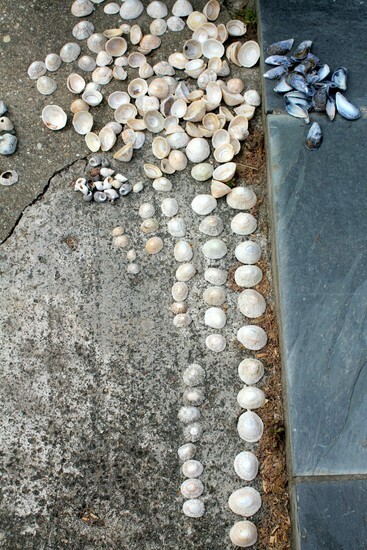 This is a good opportunity to look at the fine details on the shells, and to talk about which creatures used to live in them. 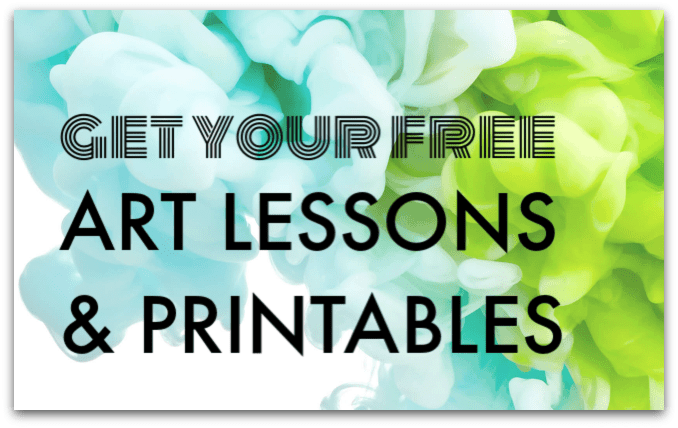 and you can build it up from there, using any colours, patterns and shapes that suggest themselves to you. 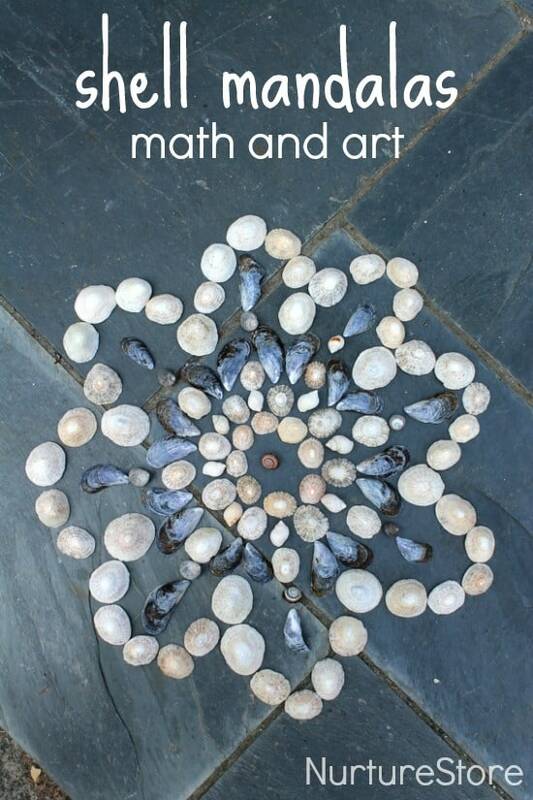 The finished shell mandala can be as big and detailed as you like. 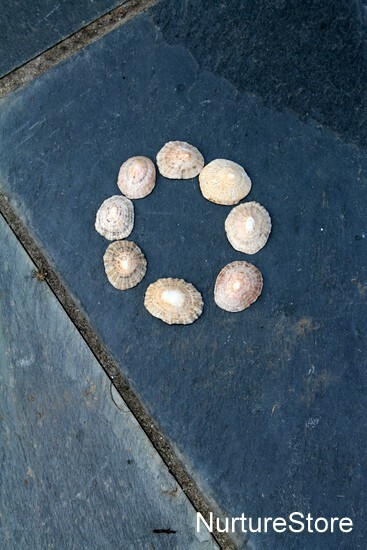 It might have a flower shape, or be made of circles, or any design you want. 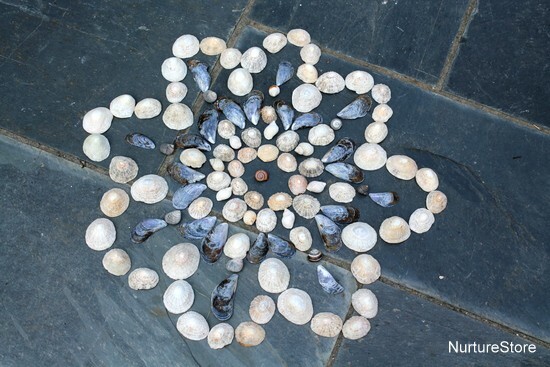 But beware – mandala-making is catching! 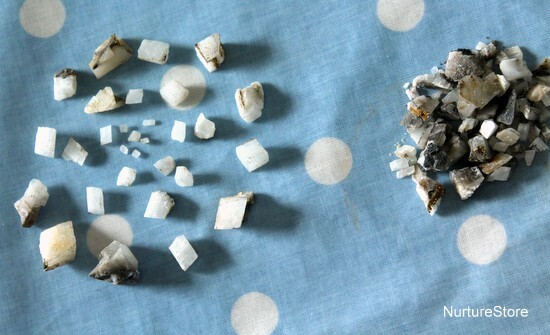 You might find yourself making mini mandalas on the kitchen table, using tiny stones you’ve hidden in your pocket.